If we are looking for anything outside of God to please us and to fulfil us, then we are going to be disappointed every time. 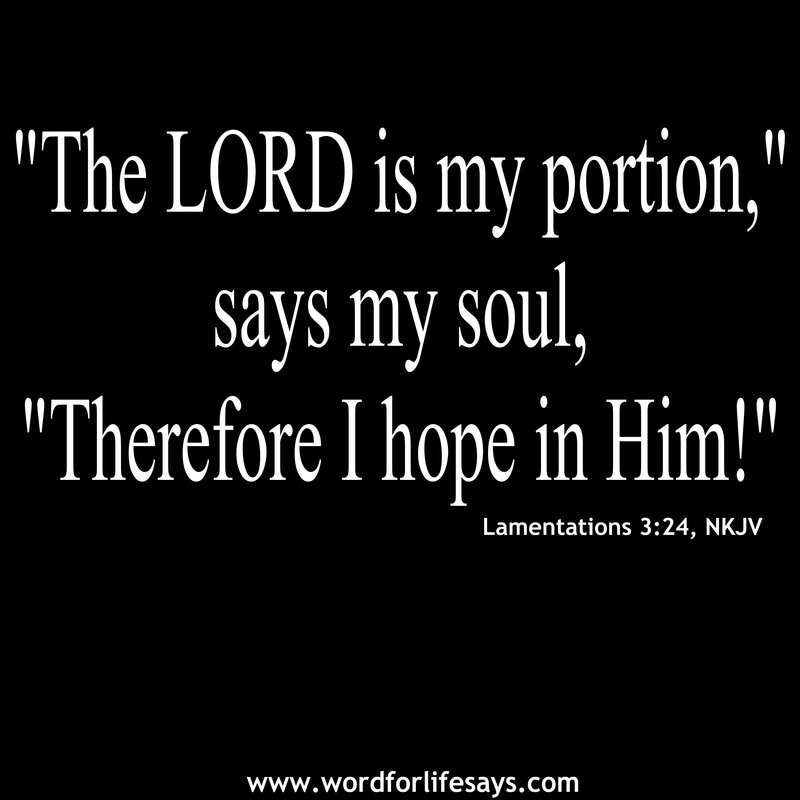 But, if we make God our portion, the substance of all we need, He will be all we need in every area of life. He will be our source and our hope.